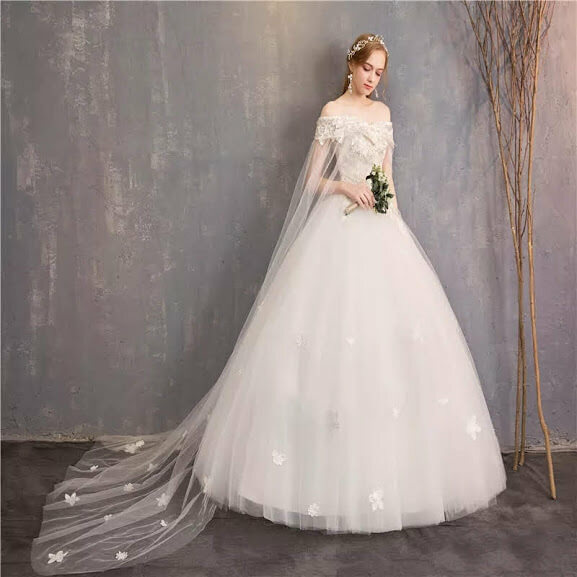 Best in town off the shoulder tulle ball gown wedding dress as rocked in the wedding party. 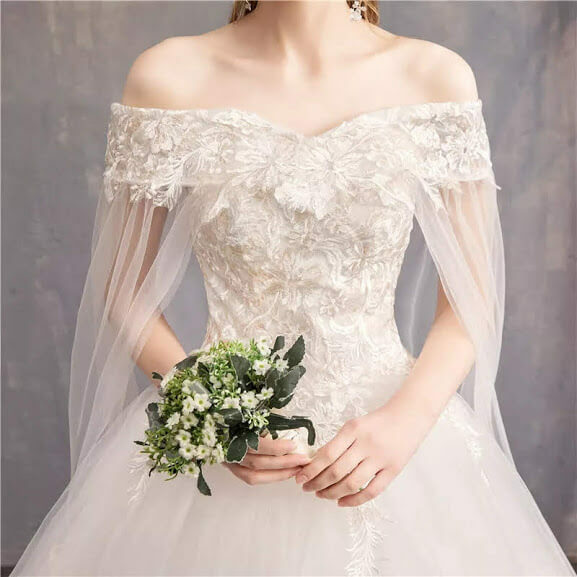 Let this off shoulder ball wedding gown with a cape bring out the royalty in you. The bodice has a touch of champagne gold to add a touch of elegance to your ball wedding gown. This ball wedding gown comes with a cape. This is regal just like the cape used in #WeddingParty movie. This beautiful ball wedding gown is available for sale in our store in Lagos.. Check out our bridal store at: 8, Ajayi Aina Street, By Deeper Life Church, Gbagada, Lagos. Our whatsapp number is +2349024227256. This ball wedding gown comes with a veil and a basket. Click here to chat with us directly on Whatsapp.